I don’t think there’s much more I can say about this. 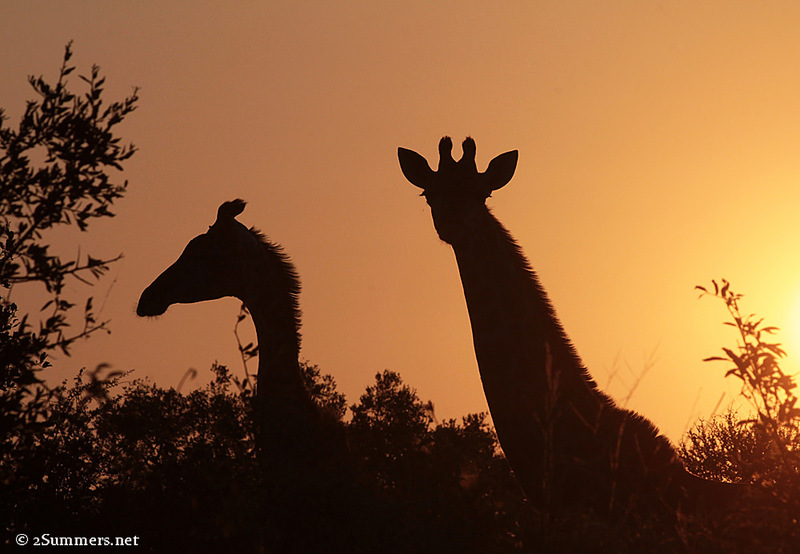 Giraffes at sunset, shot last night near the Ndzuti Safari Camp. I just got back from four days in the Klaserie Game Reserve, just outside of Kruger National Park. I’ll have much more to say about the trip in a future post but for now I want to share this one photo. Beautiful ! Can’t wait to see and hear more about your trip. Ah, indeed! Don’t tell me you stayed at Kitara? My favorite game lodge of all times! No, I didn’t! I’ll have to add that to the list. I was at Africa on Foot and Ndzuti.